As we head into the new season many of us are brimming with optimism, some of us cautiously optimistic, and some of us cocky. Most of us Met fans are excited about Robinson Cano, Lowrie, Conforto, Ramos, and our great starting rotation. However it is relativley clear one player (whose success could make or break this season) is being overlooked. 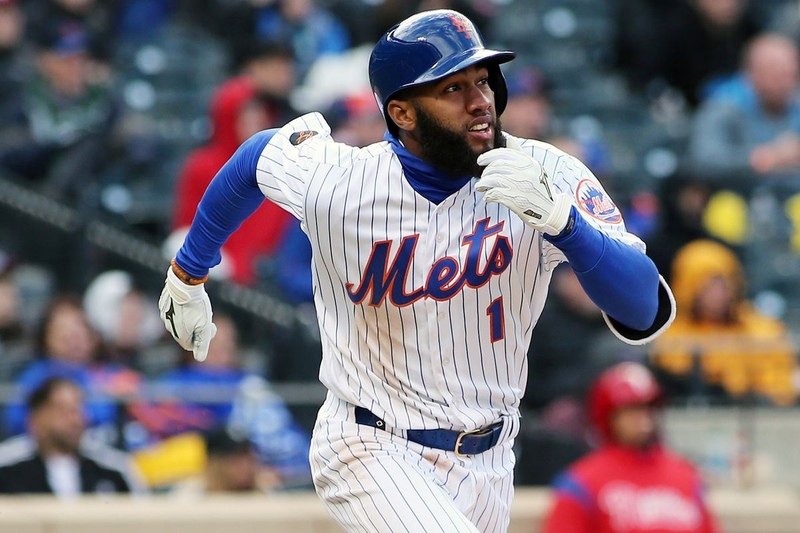 Despite the fire power those other names provide, it is imperative we realize exactly what Amed Rosario can bring to the table. Granted the first half of last season was nothing to write home about, lets delve a bit deeper into Rosario’s season. It is no question Amed has immense talent. The guy can hit for power, he can run like the wind, he has a cannon for an arm, and he can spray the ball to all fields. I’m sure in the first half of last season, Amed had most of us banging our heads against the wall. But what we failed to recognize is this was a 22 year old kid. A 22 year old kid who showed great signs of improvement in the second half of the season. In about 15 less at bats Amed had more hits in the second half. He scored 10 more runs! He raised his batting average 22 points, not to mention stole 12 more bases and raised his on base percentage. Yes, he drove us crazy with his strikeouts and plate discipline. Yet in the second half he dropped his strikeouts by 11. That low and outside slider that he used to swing at with two strikes started to become a pitch he took. Amed is poised to have an exceptional year. He developed nicely in the second half of the season and expect him to produce at an extremely high level this upcoming season. This can very well be the second or third best shortstop in the National League. Here is what to look for from Amed Rosario this year. Look for an increase in extra base hits, as well as an incredibly large increase in stolen bases. Also look for a better eye at the plate and less strikeouts. If the trend continues the way it did in the second half of last season, look for Amed Rosario to be a borderline all-star in just his third season at the age of 23. Besides Baez and Story there aren’t many shortstops capable of putting up the extra base hit power along with the incredible speed. When it is all said and done in 2019, a line like this for Amed Rosario is extremely possible. 90 runs scored, 175-200 hits, 30-35 doubles, 5-10 triples, 10-15 homers, a average from .270-.280 along with an on base of .320…….Do not be fooled by his slow start last season. Amed Rosario was one of the best prospects in baseball 2 years ago. He has done nothing to show he cannot live up to the hype he came with. Next The MetsJunkies Roundtable: Spring is in the air… almost. He needs to improve his strike zone recognition. Swings at way too many bad pitches. I agree with the writer. Rosario shows real promise and an unlimited upside.